A green roof is a roof that is covered with vegetation. Very popular in Europe, they are an excellent and economic way to reduce energy costs, insulate during the winter, and cool during the summer. Aside from receiving special tax benefits, green roofs can save the home-owner a ton of money throughout their lifetimes, sometimes up to 50% of what they would otherwise spend on energy and insulation. Green roofs also absorb solar radiation and carbon dioxide, making them a safer environment for the property's inhabitants, and also increasing its market value. The following steps refer to do it yourself green roof installation. Most green roof systems are established using kits. It is important you purchase a green roof kit that is suitable to the design you want. 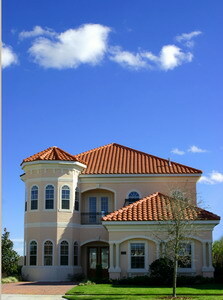 A Roof 101 green roof expert can assist you in creating a design that will compliment your house. Alternatively, you can purchase a printed design. Cover your roof's surface with an EPDM 1mm thick pond liner for waterproofing purposes, using a strong mastic sealant. To maintain the required moisture content in the substrate, a drainage layer must be added to all surfaces steeper than 10 degrees. It can be pre-manufactured in plastic, or made from a course material such as gravel or shale. Pebbles should be placed around the drainage outlets to prevent blockage. They also deter vegetation from establishing at the roof's edges. A filter layer must be inserted to separate between the substrate and the drainage. It is made from lightweight polyester geotextile. For do it yourself green roof applications, the substrate should be 20-100mm deep depending on the type of vegetation planted. Plant the vegetation using pre-vegetated mats or blankets or plus plants.